We respect the ultra-warm, ultra-puffy, fur-collared parka and anorak. However, we are are not always big fans of the look. We could understand if a guy had no other choice if he wanted to keep warm in the urban landscape… but we know better. These are five performance coats to keep you warm without stealing the style of Eskimo Joe or the Stay-Puft Marshmallow man. 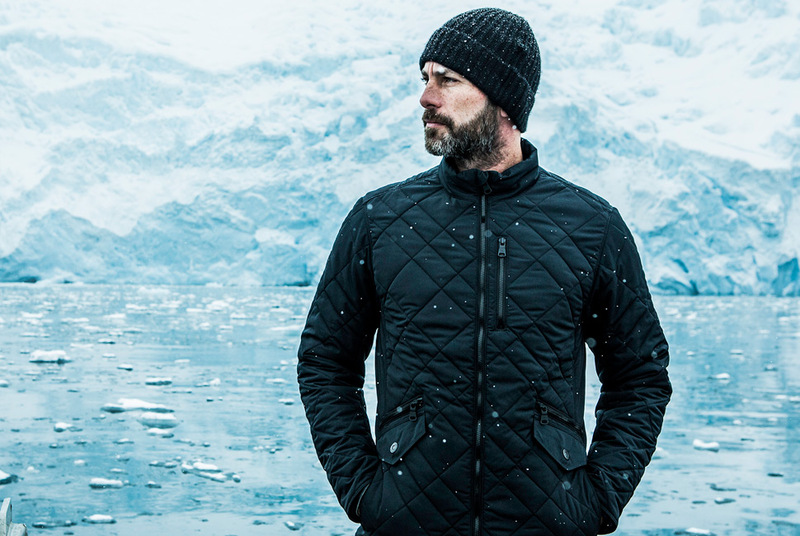 The Chilko Sweater by Westcomb is about as puffy as you should ever need to go. It uses a lightweight insulation that compacts down to a size just small enough to fit in your briefcase. Should the weather dip below jacket weather, it will be toasty enough to wear as a standalone top layer in moderate chill, and thin enough to serve as a middle layer in extreme frigid temps. 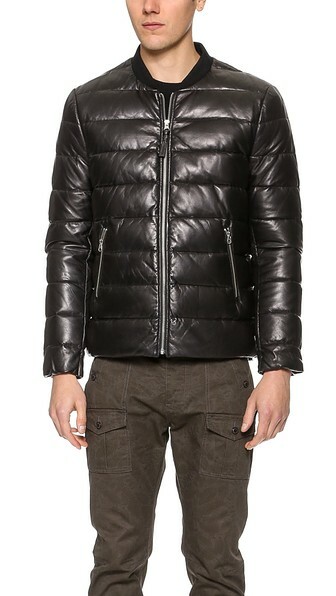 There is another way to take the fluff out of a puffy jacket, and that is to wrap it in fine lambskin leather. This example by Mackage offers 90 percent duck down insulation with 100 percent Nylon interior lining for the best of both worlds. In other words, you remain warm while also maintaining a laid-back and comfortable style. Aether manages to pack 300 grams of PrimaLoft Gold insulation into this relatively thin and light Highline coat, which offers double the warmth retention of a puffy jacket three-times its size. 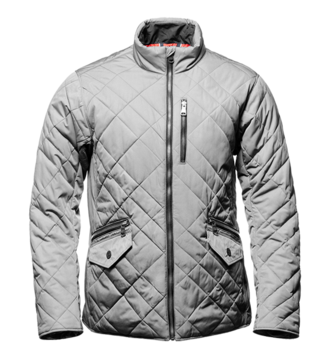 It offers a unique quilted pattern, zipper garage, and Schoeller microfiber shell that is weather resistant and looks fantastic in the limelight of just about any snowy urban landscape. Just add snow… and allow the Highline to do the rest. Some guys look for the keywords Coreloft and Gore-Tex in their performance winter jackets, while it is sometimes easier just to remember the brand Arc’Teryx. 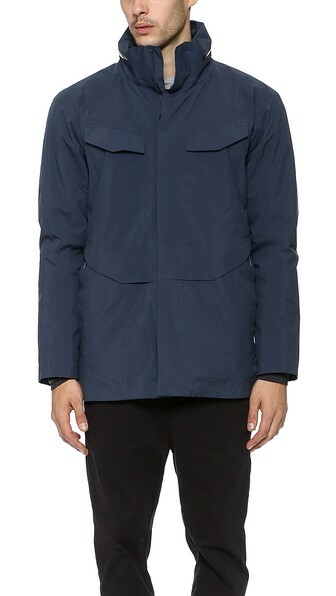 The Veilance Field IS offers a simple and smooth-front military style cut, 140-grams of Coreloft insulation, a wind/rain proof shell, and a hood that disappears into the collar. 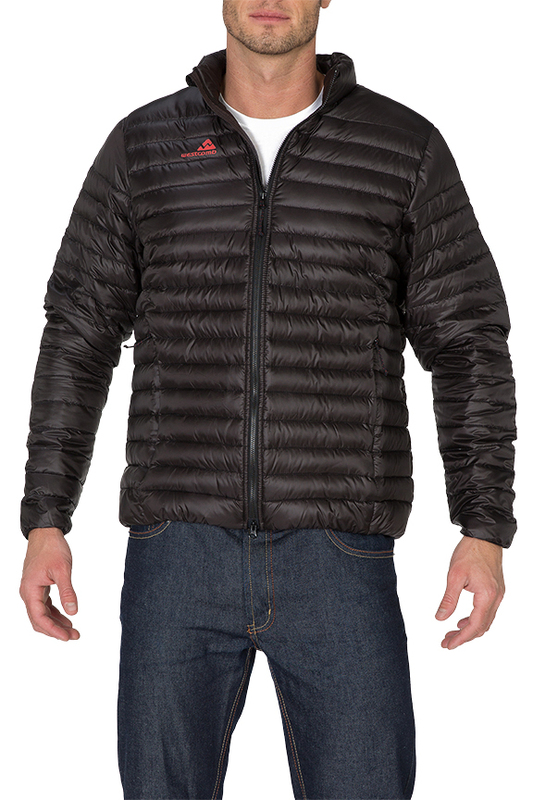 This is all the performance jacket most urban gentlemen will ever need in the winter. The body is an amazing heater when you give it the chance to be. 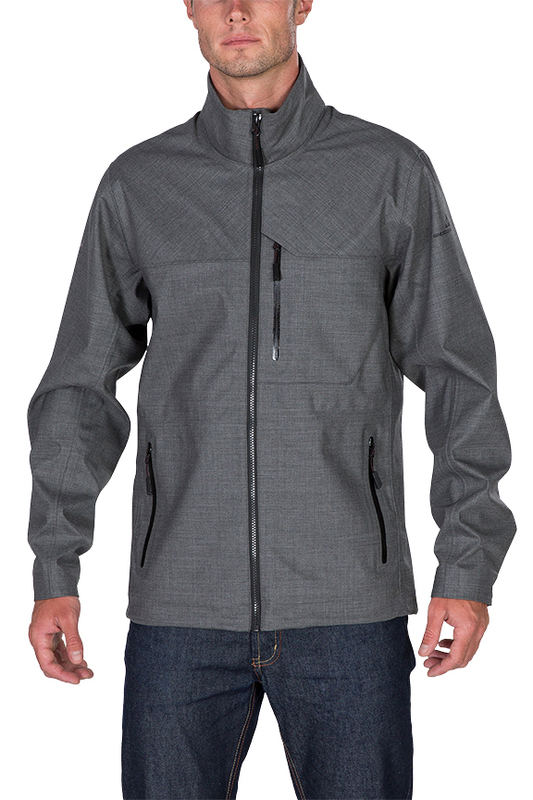 The high performance shell of the Soho jacket by Westcomb is impenetrable to rain, sleet, and wind. It enables the layers of material (ahem, sweater) you’re wearing underneath to serve as insulation, which means you’ll stay warm and dry at a fraction of the material, weight and cost. Unload some of that cumbersome weight from your shoulders this winter, and get a performance coat that will offer you the most warmth for the least amount of puff.